If you haven’t seen Star Wars, then “I am your father” wouldn’t mean anything to you. However, knowing Darth Vader is Luke Skywalker’s father would irreversibly alter your first experience watching Star Wars. It was spring of 2012 when it all clicked. Lansing attended Night Market, one of the Bay Area’s more notorious underground art events, where box trucks served as a venue for showcasing—and appreciating—art. “Each truck turned into an otherworldly space,” he remembered. Using a rental truck, he created his own immersive theater, where participants could wear whimsical costumes and play different characters from their favorite films. After his first foray into box trucks, Lansing decided he needed one to transport art to Burning Man in summer 2012. 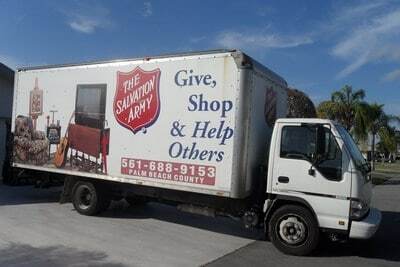 For a “surprisingly affordable price,” Lansing acquired his first piece of production equipment: a 2005 Isuzu box truck, whose sides still bore the sunburned negative of “Give, Shop & Help Others”. With a partial restoration and solar power, Lansing felt he could transform the truck into a real cinematic experience. In 2013, the team brought their first installation of The Box Theater to the same underground art event which sparked their box truck beginnings. Will Chase, the art coordinator for Treasure Island Music Festival, saw the first Box Theater show, impressed by their refreshingly different take on cinema. Chase invited them to install a temporary Box Theater at 2014’s Treasure Island, compensating them with $1,000 for the show. “It was the first time I’ve been paid for making art,” Lansing recalled fondly. Later that summer of 2014, the team decided to participate in FIGMENT Project, a free and participatory art event held in Oakland, San Diego, Boston, Chicago, New York City, and others, drawing tens of thousands each year. Equipped with an Optoma ML-550 projector and a repurposed box truck, Lansing and Kestermont began preparing their third and final show. Along with a movie screen, Lansing obtained velvet rope, curtains, chairs, signage, promotional posters, and movie tickets. As a final touch, they enlisted the help of friends and acquaintances to play ushers and cigarette girls. The end product: a theater complete with concessions, Dolby surround sound, and even a red carpet. Nobody expected to walk into an Oakland box truck and experience deep spoilers, let alone munch on popcorn or eat ice cream. “Everyone lost their minds,” Lansing smiled. The Box Theater was also Kestermont’s first experience as a filmmaker. “It’s so rewarding to to see the immediate reactions of the audience,” he elaborated. Just like in a real movie theater, “they gasped, they complimented, and they applauded.” This final show happened to be their first in front of younger appreciators of cinema, since FIGMENT is designed to appeal to all ages. Around a thousand people likely saw the 10-minute film at its three, distinct showings. For Lansing, it was “interesting to see how the audience reacted based on how they were prepared for the experience.” Telling a joke before the film helped the audience relax, giving them “permission” to laugh and enjoy themselves. Cinematic magic is in the attention to detail: the sound pouring out of the Dolby speakers, the smell of the popcorn; a joke landing just right. Dreams take more than just patience. With hard work and an endless reservoir of creativity, you too can transform a dream into reality. Saturday, June 10, 2017 in Mosswood Park, Oakland, California. You can also find more of Eddie Kestermont’s work at his website.